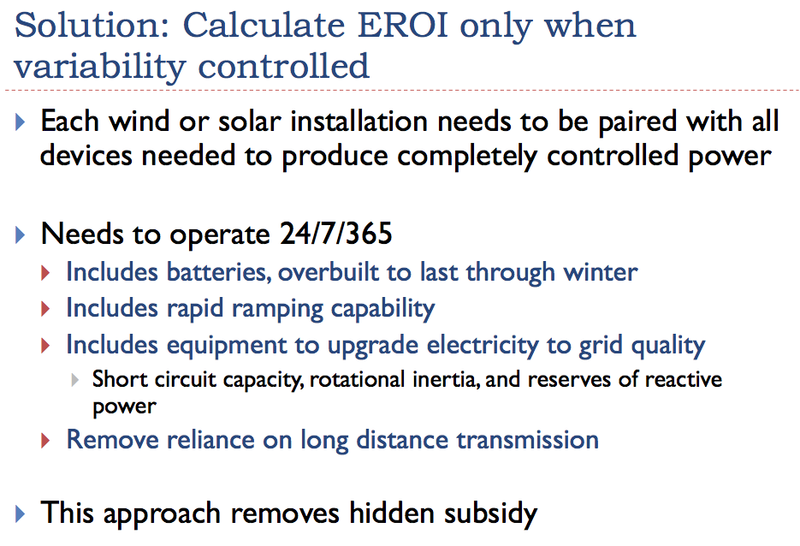 This means that if we really expect to scale wind and solar, we probably need to be creating packages of grid-quality electricity (wind or solar, supplemented by various devices to create grid quality electricity) at an acceptably high EROI. 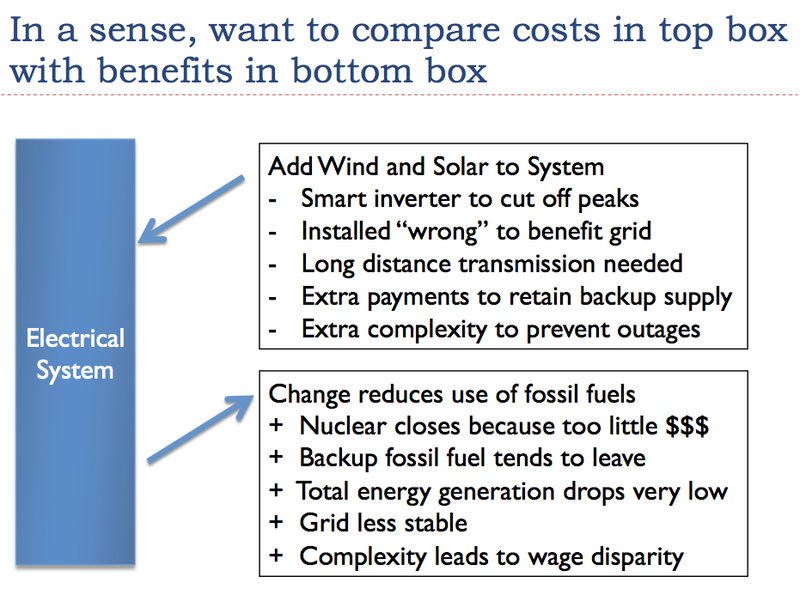 This is very similar to a requirement that wind or solar energy, including all of the necessary adjustments to bring them to grid quality, be available at a suitably low dollar cost–probably not too different from today's wholesale cost of electricity. 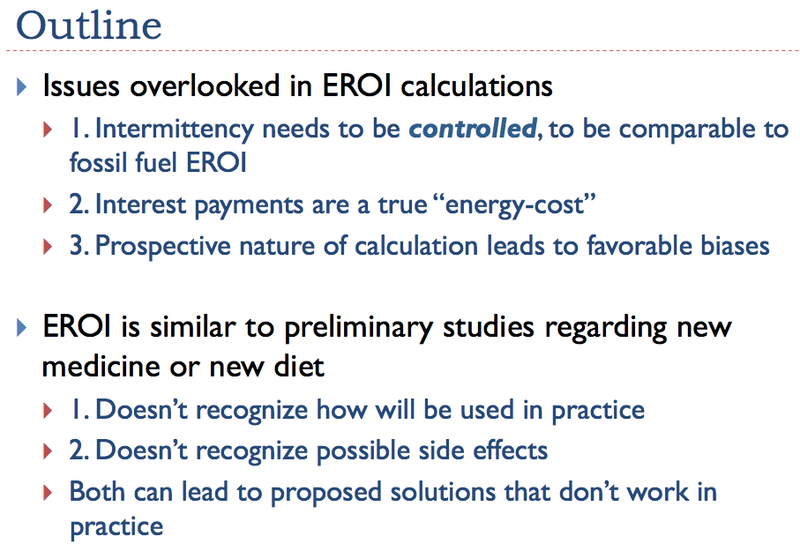 EROI theory would strongly suggest that energy costs for an economy cannot rise dramatically, without a huge problem for the economy. 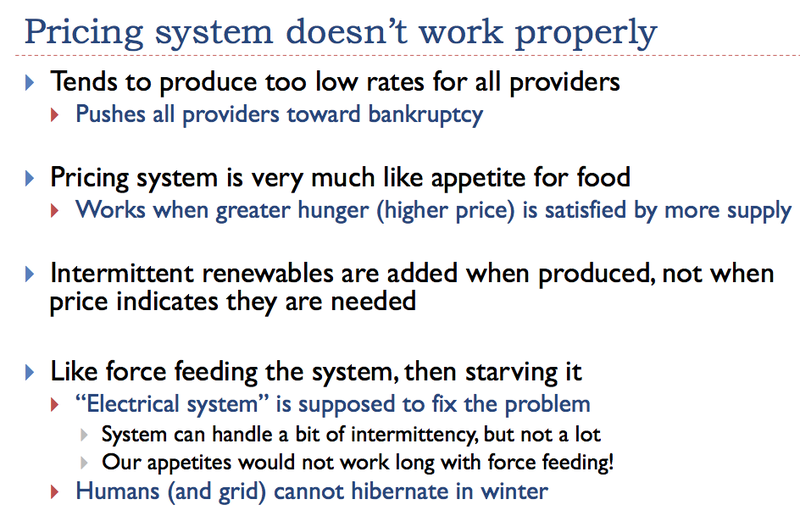 Hiding rising energy costs with government subsidies cannot fix this problem. 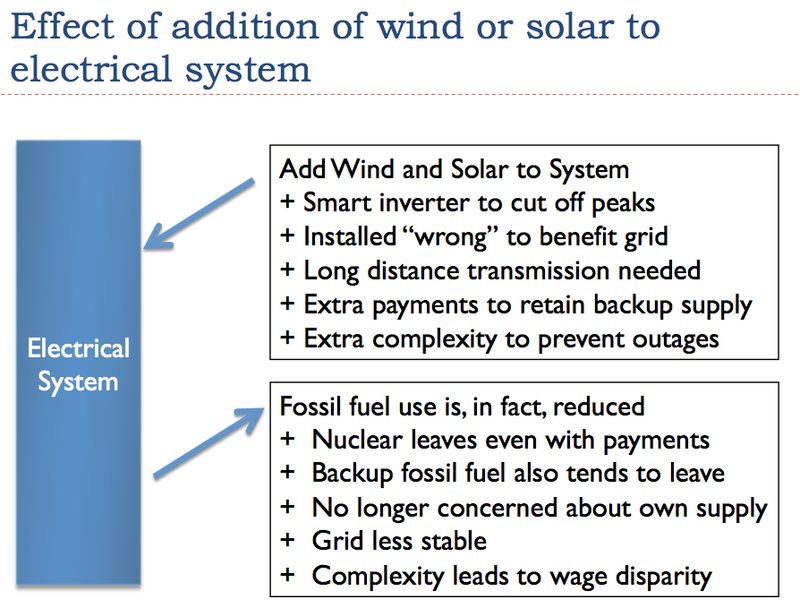 There is a lot of work on “smart grids” being done, but this work does not address the particular problems brought on by adding wind and solar. In particular, smart grids do not move demand from summer and winter (when demand is normally high) to spring and fall (when demand is normally low). 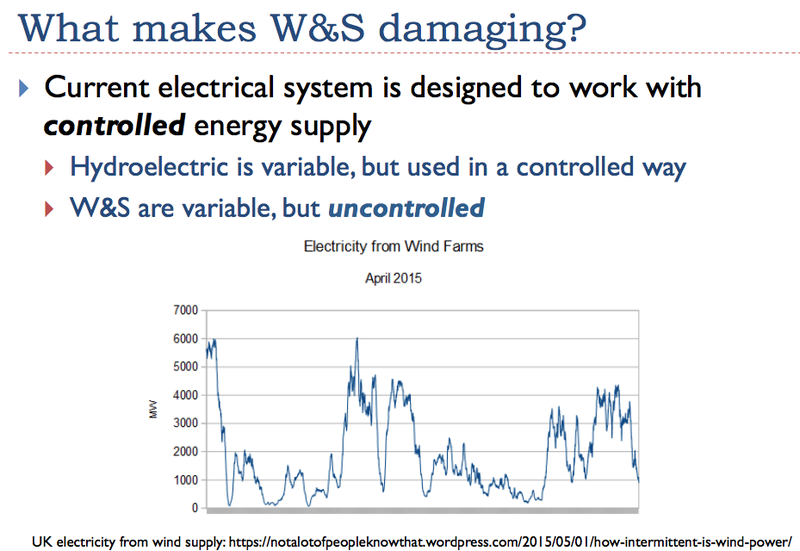 Smart grids and time of day pricing aren't very good at fixing the rapid ramping problem, either, especially when these problems are weather related. 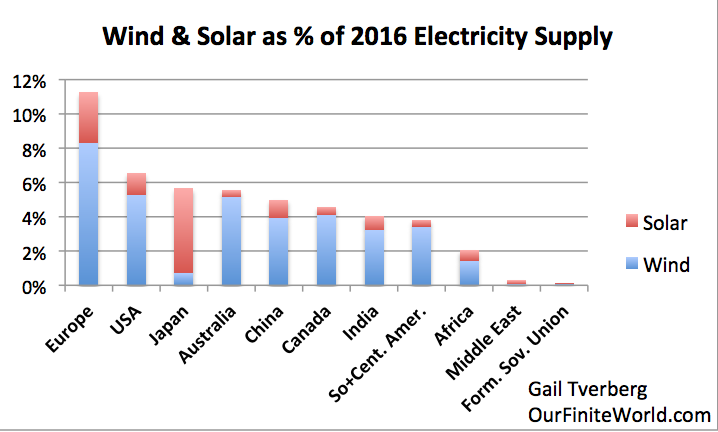 The IEA investment report notes that in China, 10% of solar PV and 17% of wind generation were curtailed in 2016, even though previous problems with lack of transmission had been fixed. Figure 1 shows China's electricity from wind and solar amounts to only 5.0% of its total electricity consumption in 2016. Regarding India, the IEA report says, “More flexible conventional capacity, including gas-fired plants, better connections with hydro resources and investment in battery storage will be needed to support continued growth in solar power.” India's intermittent electricity amounted to only 4.1% of total electricity supply in 2016. 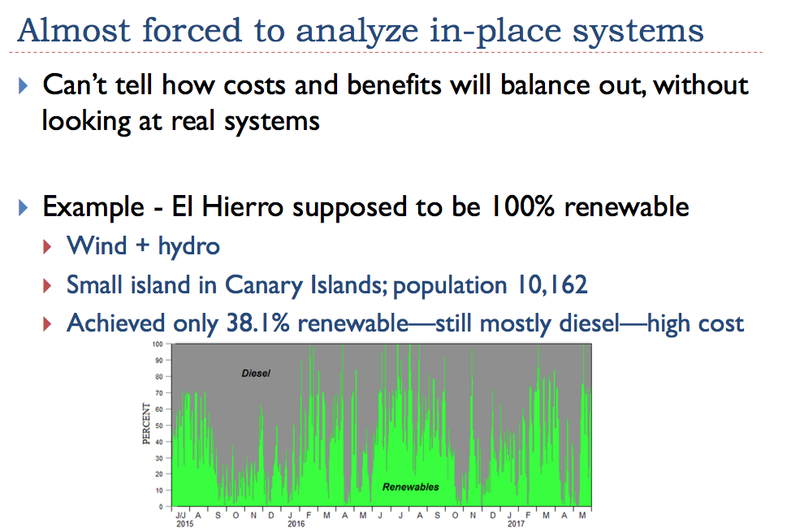 The next problem illustrated in Slide 6 is the fact that the pricing system does not work for any fuel, if wind and solar are given priority on the electric grid. The marginal cost approach that is usually used gives too low a wholesale price for every producer subject to this pricing scheme. 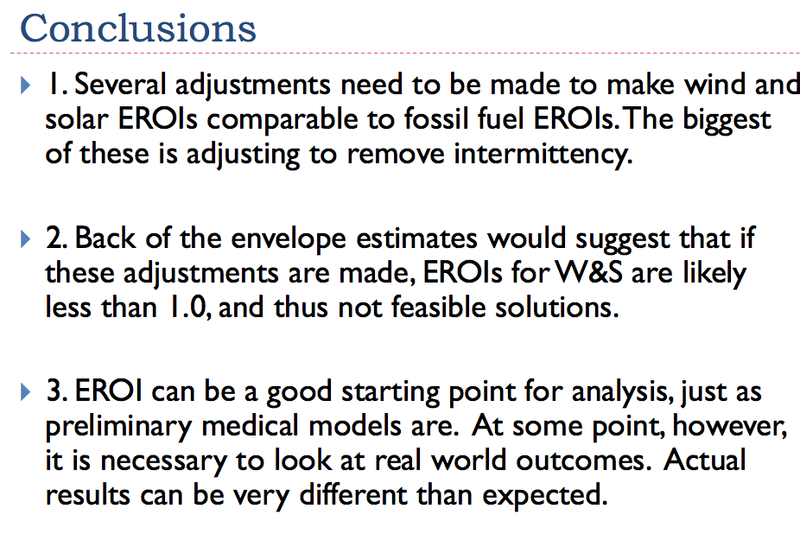 The result is a pricing system that gives misleadingly low price signals. Regulators are generally aware of this issue, but don't have a good way of fixing it. 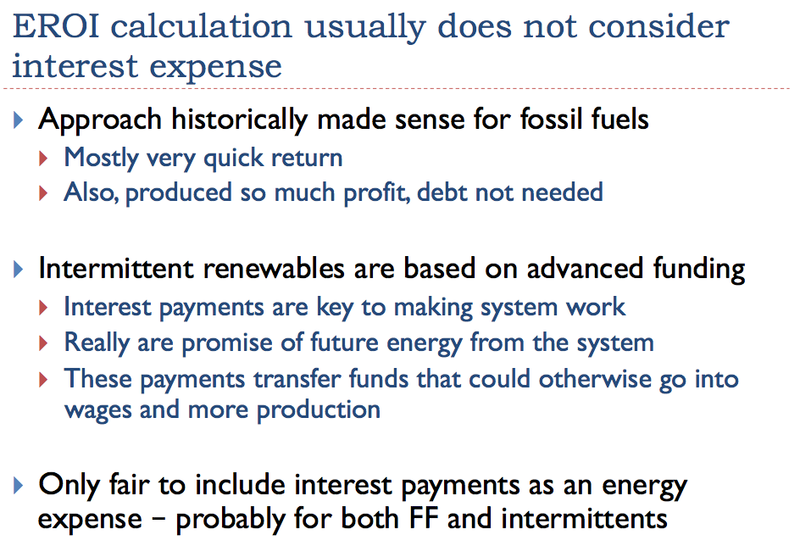 Capacity payments are used in some places as an attempted workaround, but it is not clear that such payments really solve the problem. 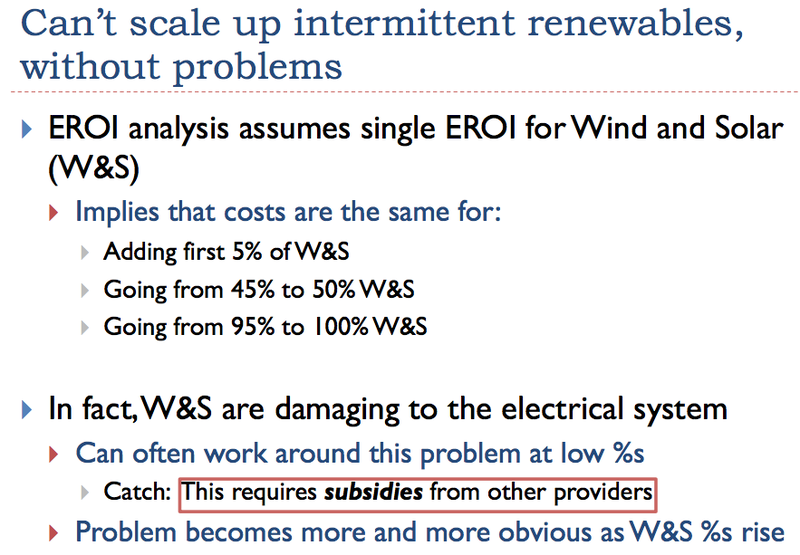 The pricing system no longer works because W&S are added whenever they become available, in preference to other generation. 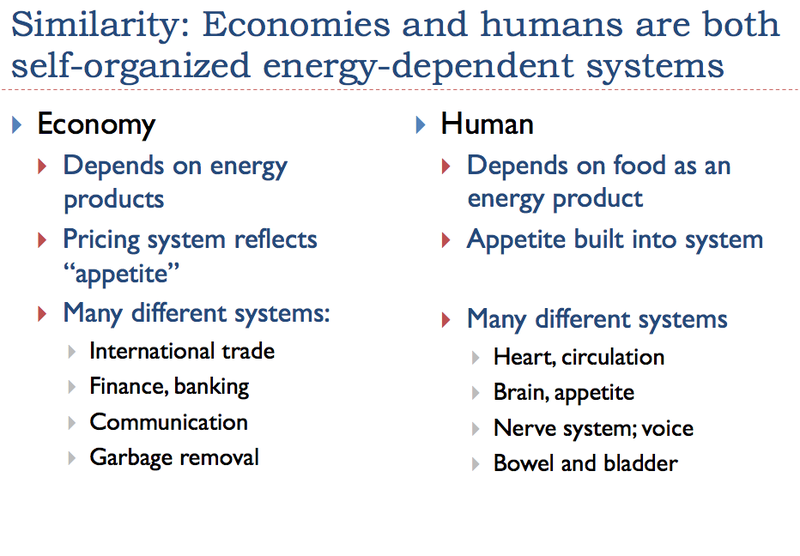 In many ways, the pricing system is like our appetite for food. Usually, we eat when we are hungry, and the food we eat reduces our appetite. 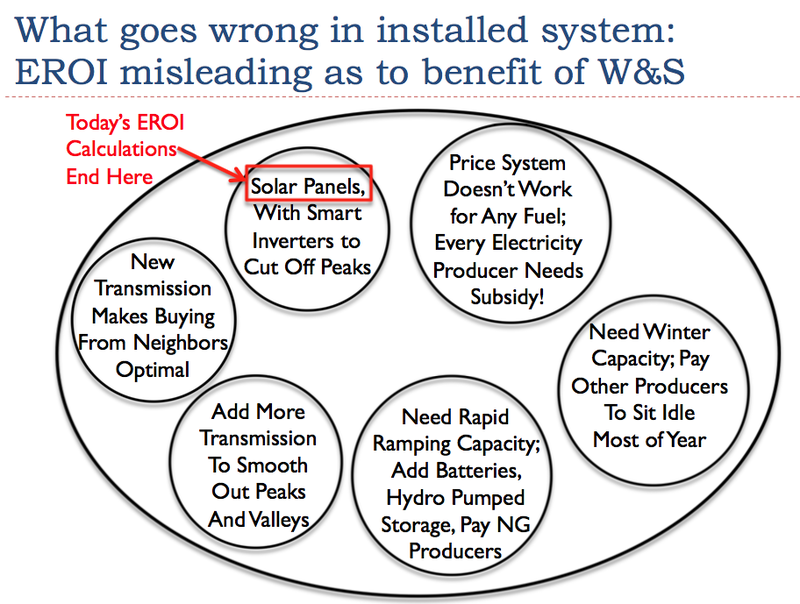 W&S are added to the system with total disregard for whether the system needs it or not, leaving the other electricity producers to try to fix up the mess, using the false pricing signals they get. 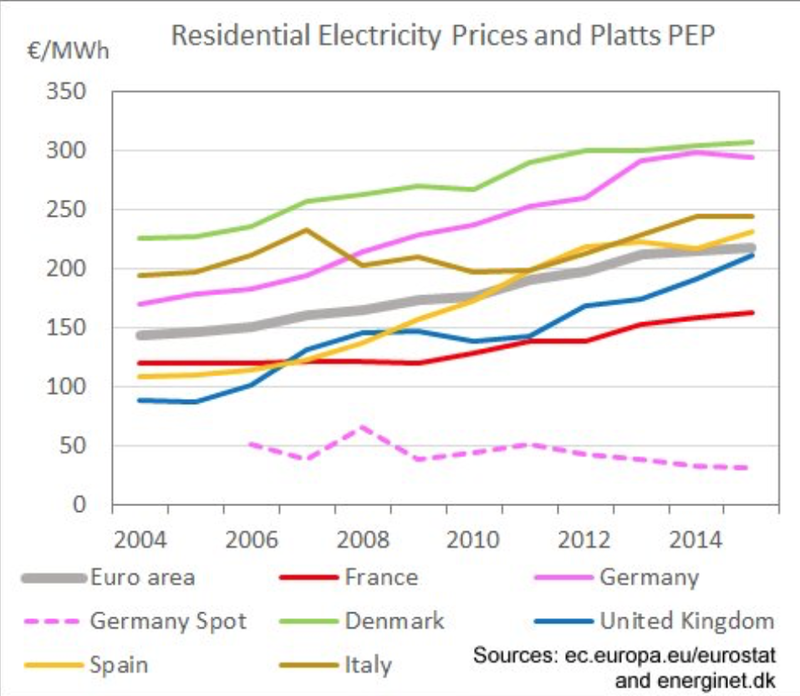 The IEA's 2017 Investment Report recommends that countries develop new pricing schemes that correct the problems, but it is not clear that this is actually possible without correcting the hidden subsidies. 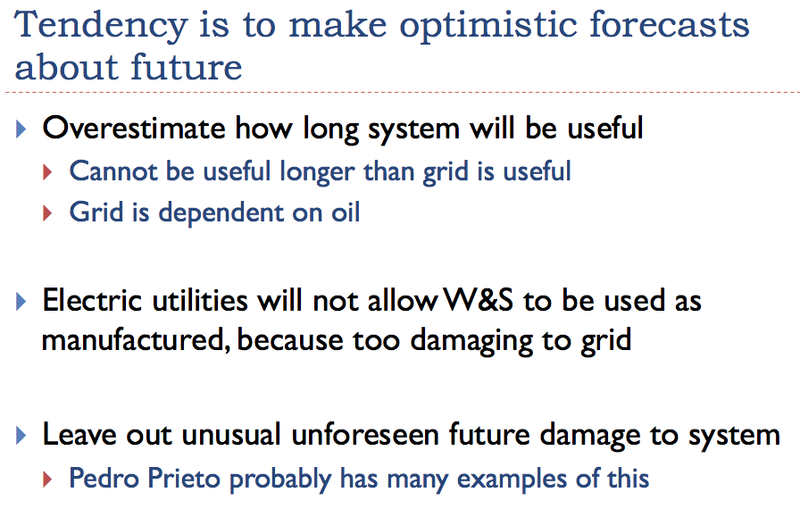 One planned workaround for supply shortages was natural gas. 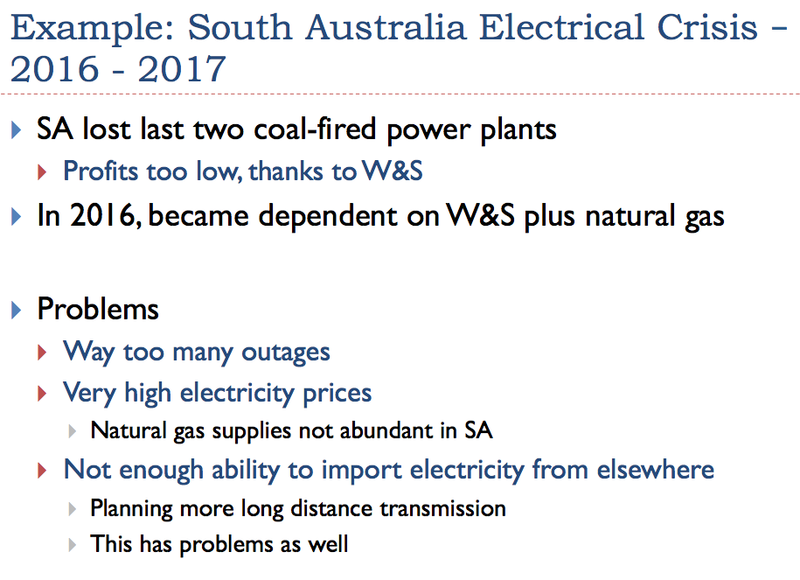 Unfortunately, South Australia doesn't actually have a very good natural gas supply to operate its units generating electricity from natural gas. Thus, the available natural gas generators could not really respond as hoped, except at very high prices. Some changes are now being made, including a planned Tesla battery system. With the changes being made, there are reports of electricity rate increases of up to 120% for businesses in South Australia. 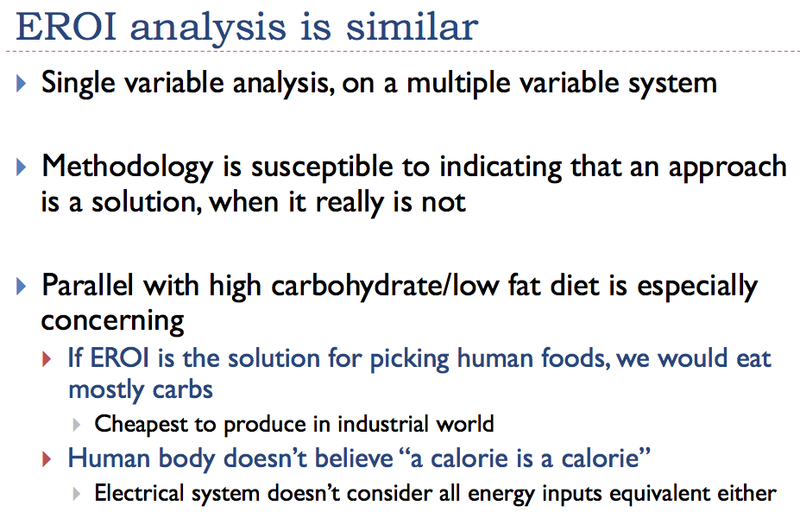 We know that with humans, we really need to examine how a new medicine or a change in diet works in practice. 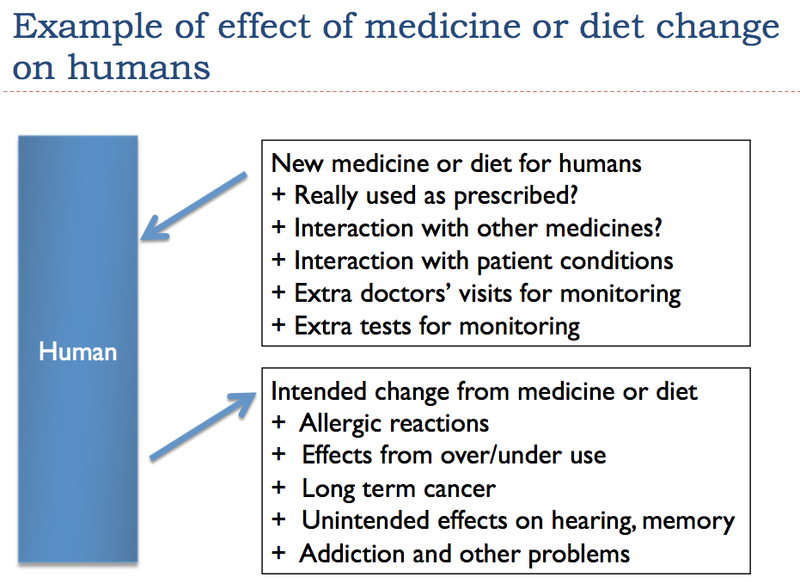 For one thing, medicines and diets aren't necessarily used as planned. Unexpected long-term changes occur that we could not anticipate. 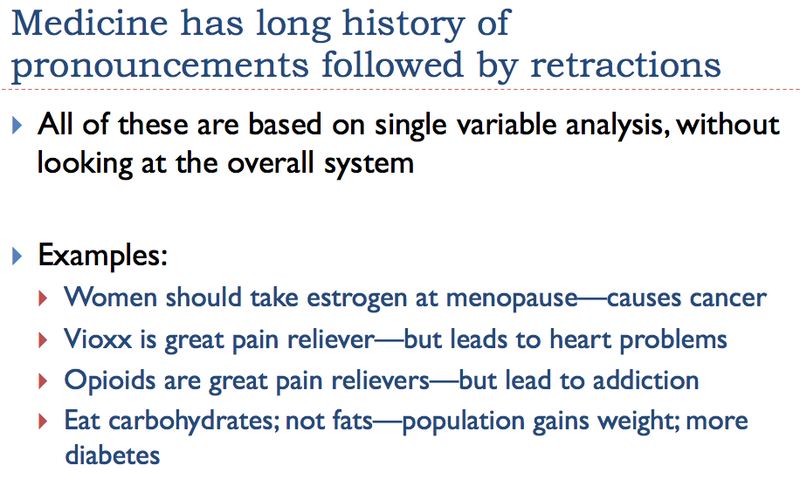 Anyone who has followed the news knows about medicine's long history of announcements followed by retractions.